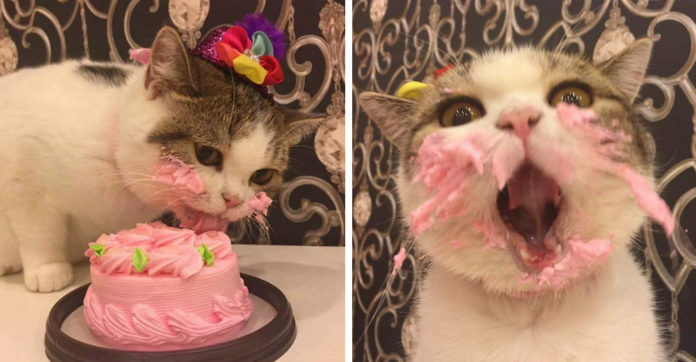 Adorable Cat Eating His Birthday Cake Is The Most Hilarious Thing You’ll See Today! 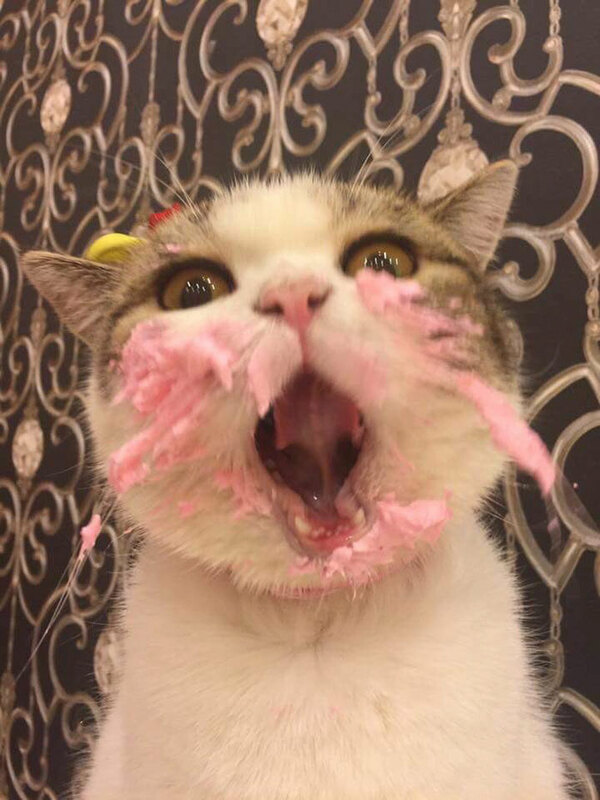 Everyone deserves a little cake on their birthday! Yes, everyone, including animals! 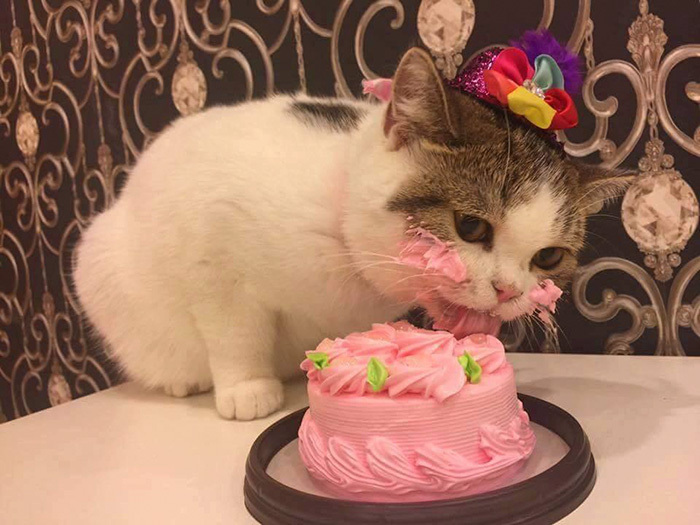 Of course, real cake isn’t healthy or safe for many animals, but that doesn’t mean that there aren’t substitutes that allow for delicious celebratory fun. 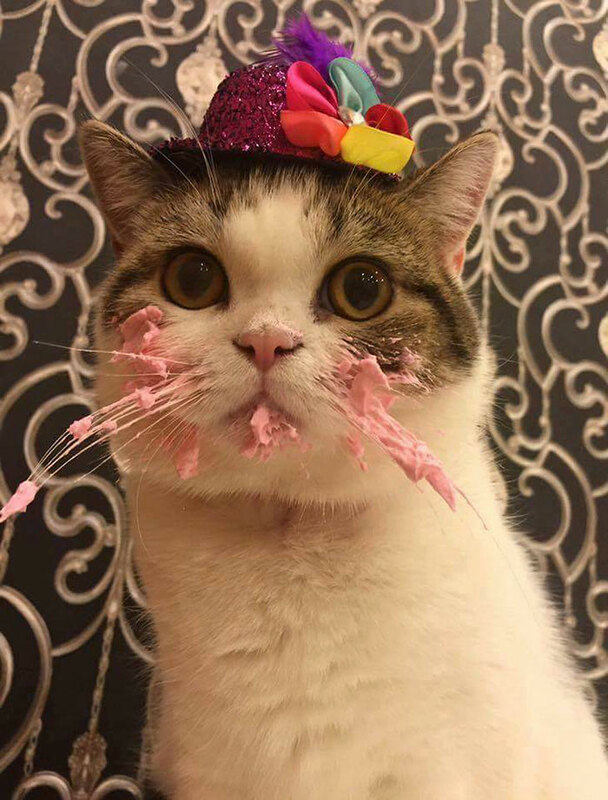 I mean, just take a look at this cat celebrating his birthday. It’s carefully decorated with pink cream and looks absolutely delectable! Plus, the kit looks very happy with his surprise as he licks up all the icing. 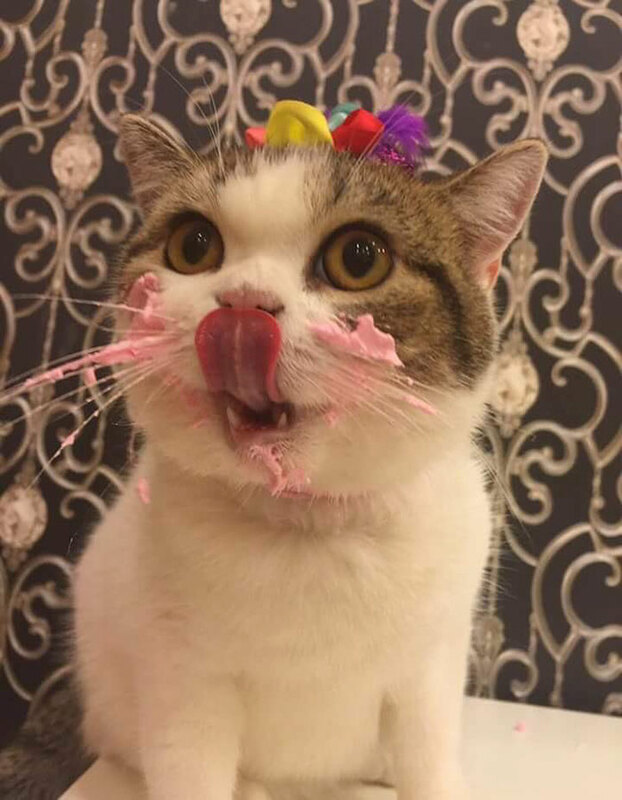 His mouth is still covered in cream long after the cake is done, so he’ll have plenty of time to lick up seconds from his whiskers later! This is one happy kitty! And he’s making lots of people smile, too. Planning to throw your pet a birthday bash? Find a place that can make special pet-friendly cakes, or simply coat an upside-down bowl with whipped cream, and they’ll be in for a real treat! Share away, people!